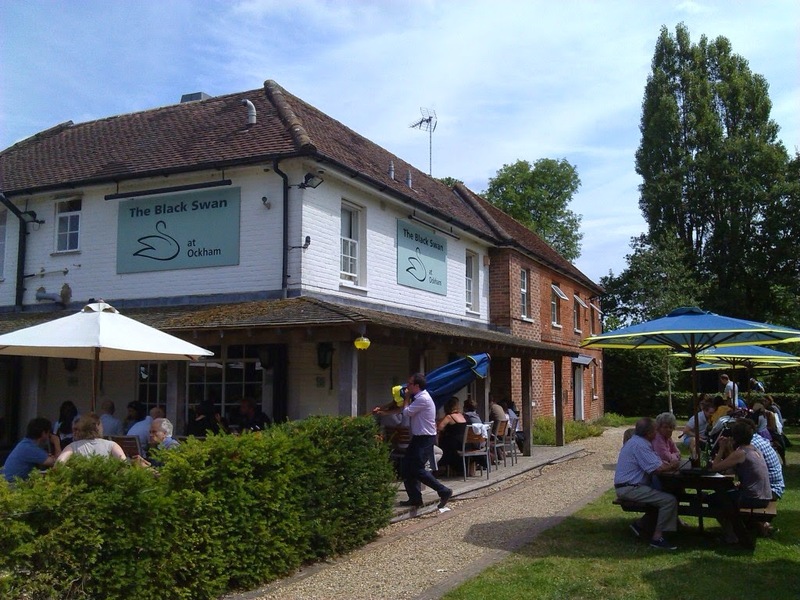 The Black Swan in Ockham is nestled in the idyllic Surrey countryside but also isn't far from either the M25 or A3. 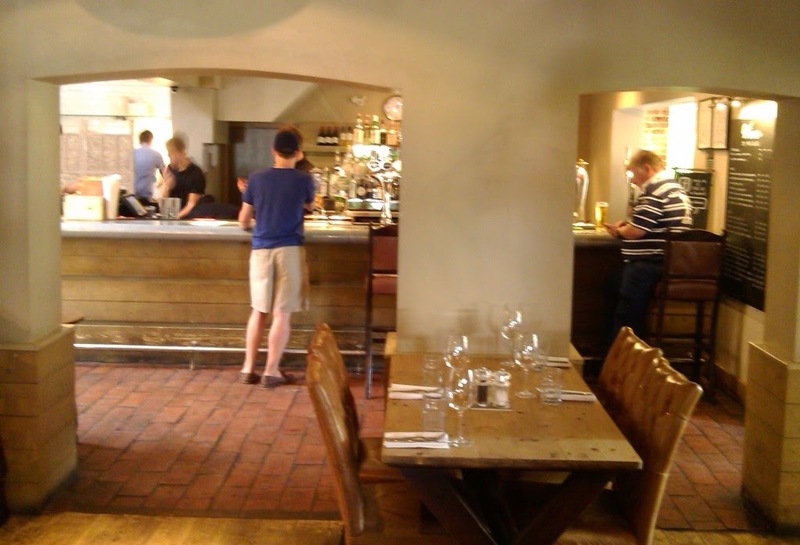 We visited on a sunny summer Saturday, and it was busy, with most of the outdoor tables taken. Inside things were a bit quieter, it is quite a labyrinth with lots of interconnected spaces. We found a spot near the BBQ area, which was proving a popular option. It has a separate menu and ordering system. 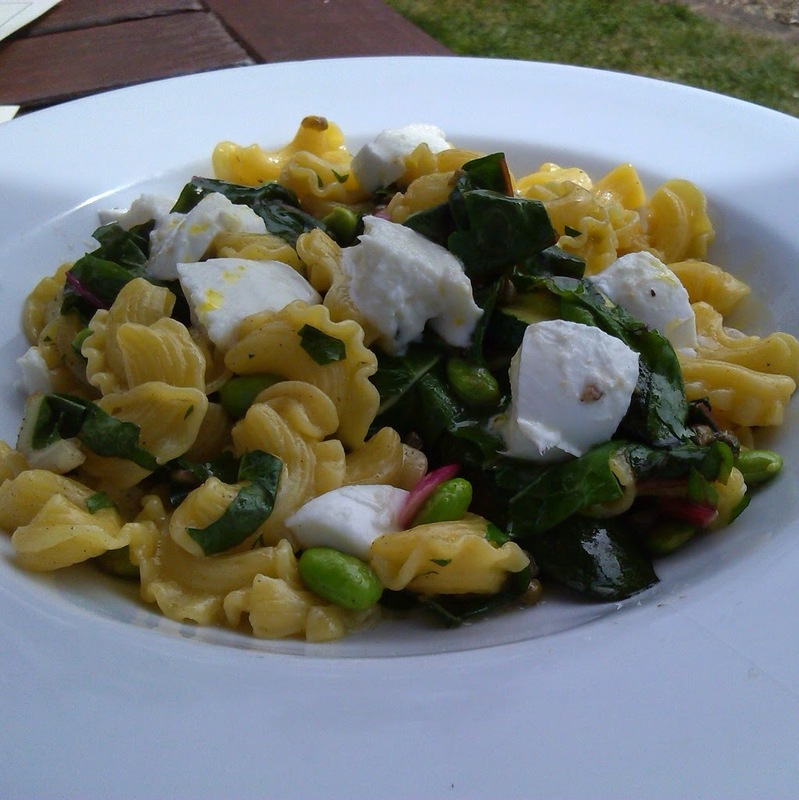 The pea and marjoram tortellini, with summer vegetables, ricotta and parmesan cheese from the main menu was as fresh as it looked. 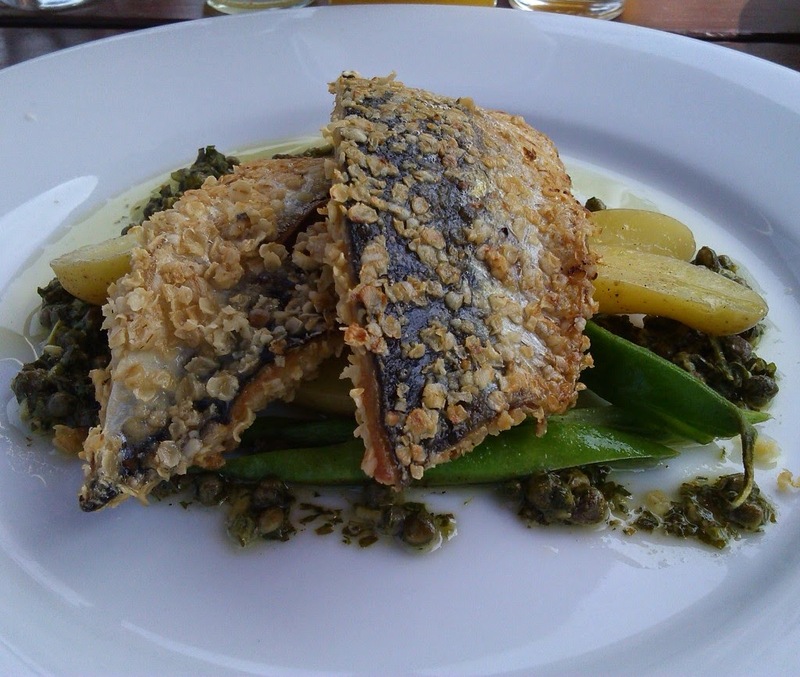 I went for the oatmeal crusted Cornish mackerel fillets also ordered inside. They came with a warm runner bean and new potato salad and a salsa verde. The strong flavors were nicely balanced by veggies and caper rich sauce. 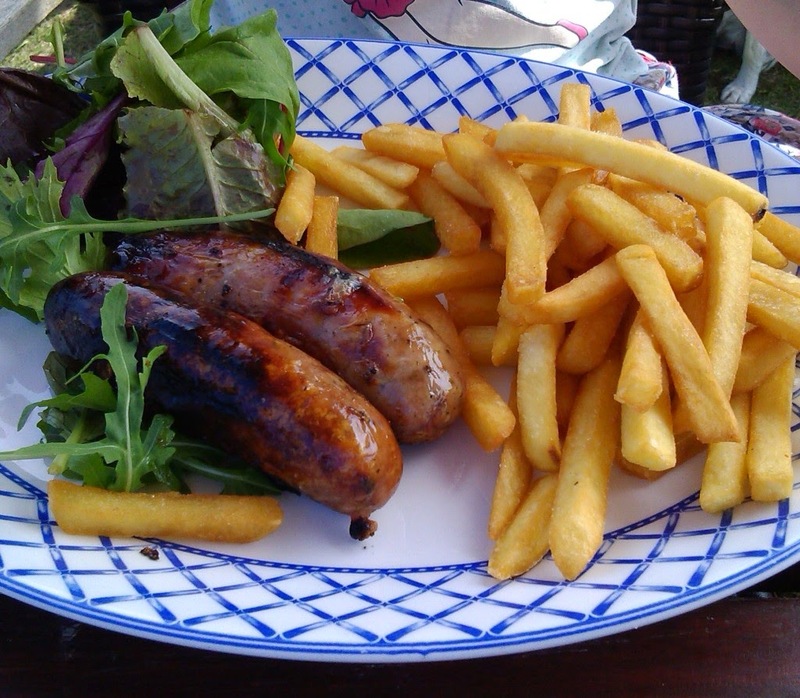 The kids liked their sausages, chips and mixed leaf salad. 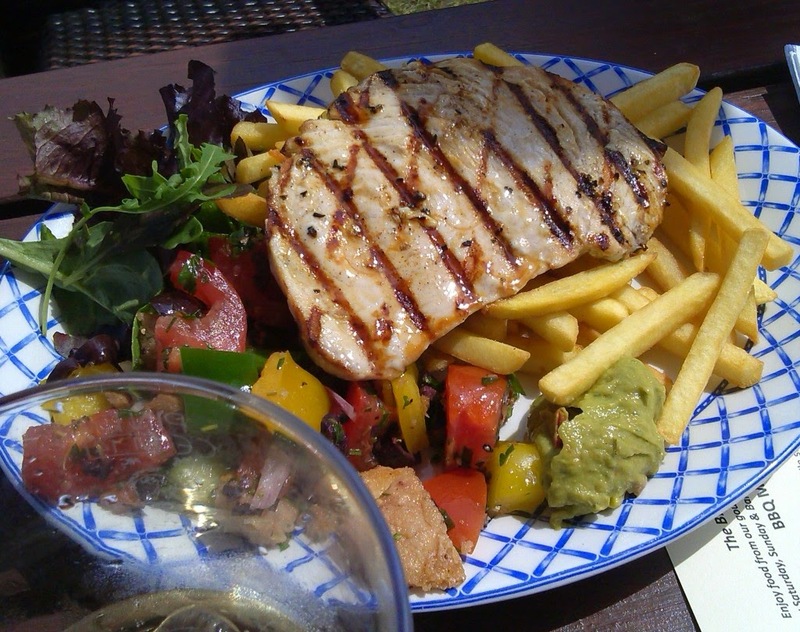 Diane went for the char-grilled swordfish steak from the BBQ, which came with a panzanella salad, guacamole and fries. Again everything was super fresh and soon disappeared. 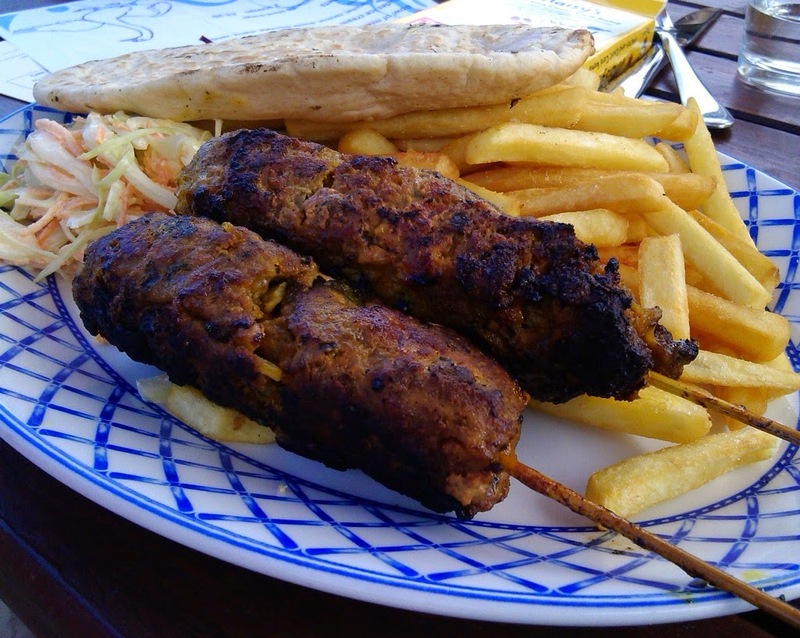 Nik enjoyed the BBQ menu special of Lamb koftas, which was served with coleslaw, fries and pita. 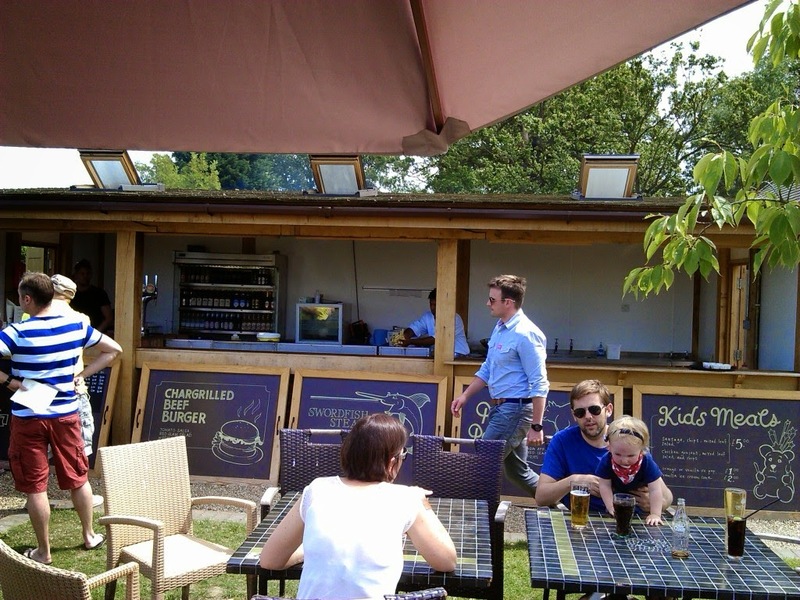 The Black Swan is a great spot to enjoy a great summers day, with a relaxed vibe and plenty of space in the grassy beer garden. There is a good range of food on offer and we enjoyed everything we tried from the menu.